Welcome to FitzGerald Farms in beautiful Yamhill, Oregon. Located in the heart of the Oregon Horse Country and the northwest’s best known vineyards, FitzGerald Farms invites you to explore all we have to offer to equine enthusiasts. 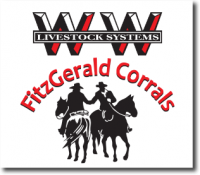 If you share our passion for horses and the equestrian lifestyle, we know you’ll enjoy our events and activities at FitzGerald Farms. Our family farm has a rich history, dating back to 1903. Following the traditions of the founder, Dr. FitzGerald, the Farm has continued to provide equine care and encourages community support, involvement, and enjoyment of our wonderful horses and equine programs. We hope you visit FitzGerald Farms soon.